Looks really good. Especially like the picture with the dual radio antennas mounted. The first case is manufactured. Today I received a printed circuit board from PCBWay.com and I will begin soldering the device tommorow. Looks very good. I like the blue mask! Did you solder this board using ordinary iron/fan or smd oven? Hi Koresh! First of all sorry for my English))) When i am soldering i use the soldering paste, plastic stencil and hot air gun. I have made some pictures which explain the process of soldering. I like your gateway! Can you maybe post it on OSHPark? so i can order the PCB? @kalina Interesting project. Just out of curiosity. What would a complete mounted device cost? @TheoL The price of complete mounted device no more than 35$. But if no need to install all the components, the cost will be lower. I will add my interest for an assembled device. It looks really good. @gloob OK. I will report about all development stages. I think that by the end of September I will produce the first lot in 10-20 pcs. 1-Have you considered adding RS485 support so as to comply with all the supported GW for MySensors? It would make your desing really complete and extremely flexible and adaptative. 2- Are you willing to share your design files so we can make custom modifications to it? @gonzalonal Hi Gonzalonal! Thank you for your interest in my project. I'm answering your questions. I'm new in the project "Mysensors" and I applied in my device Atmega328 microcontroller (exactly the same as in the Arduino uno and nano). The use of this microcontroller will give an opportunity to create quickly software for all users. One of the drawbacks of this microcontroller is just one UART, but for adding RS-485 need one more. I do not use a software UART. I see no reason to make the modifications until the original version hasn't checked. For this question we can come back after the software will be developed and the device will be tested. As I wrote earlier, in September I will produce about 10 devices and if you wish, you may join for the device testing. Can you a little clarify how this device will work in mysensors environment? If I understand right this board has two uplink transport modules (rfm & nrf) and three gateway modules (standard serial, ethernet and wi-fi via ESP8266). So are you planning solder all of those modules on the board? I am not sure, but as I know we can use only one uplink transport (nrf ir rfm or rs485) and one gateway (serial/ethernet/wi-fi). So we can use only one of six possible configurations. May be it is not cost effective to solder all components at once? @Koresh Thanks for a good question. Yes, you are right, and I want to explain the main idea. My pcb is universal. At this moment, I don't know who of the first users will choose one of available operating modes (serial or Wi-Fi or Ethernet, NRF24 or RFM69) and therefore I will solder the first 10 devices completely. Of course, in the future I will divide assemblies into RFM or NRF24, and also Ethernet or Wi-Fi or Serial. It is six possible configurations about which you spoke. I want to accent on main idea of my device. The sketch for the Atmega328P microcontroller in all three modes will be as a serial gateway. Conversion of TCP packets to serial data will be execute in the PIC18F67J60 (Ethernet) microcontroller or in the ESP-12 (Wi-Fi). The necessary mode can be selected by jumpers of XP2 connector (see added picture). About the choice of QFN package – I will think. Today i have completed the development of new design of the enclosure. The sticker is printed on Oracal film. @sincze Thank you, I try to make it nice and reliable! I have good news - i have made 15 pcs MDMSGate, and as soon as i will add it to ebay you can buy it. Price for each (assembled board+enclosure+2.4GHz antena+microUBS cable) - 35$. Also, i have already updated my project files, you should look at their if you are going to buy this device. Will you also please add the design files to your project. @hek This is my first complete device and I would like to know what else I have to add? Gerber files and scheme I have already added. I'm referring to the KIcad or Eagle source files so people can learn and fork from your fine project. I like the product and want to buy two of them. Is shipping to the Netherlands possible? How quickly will MDMSGates come to you? How much will shipping be cost (i mean DHL or other post service) ? What hardware (Wi-Fi, Ethernet, etc.) and software (bootloader, sketch, etc.) configuration do you need? @kalina I will send you a PM! Maybe for future version of the gateway would it be possible to add RF-link ? I guess you can still use a rflink by connecting it to a raspberry pi gateway in the normal way but it would be cool to be able to also control 433/868Mhz and Mi-light products from one gateway. Actually, not as you think, I'm going to use rflink to control my nodes. Gateway connects directly to the controller (as an example to raspberry pi) via USB, Wi-Fi or Ethernet connection. @damsh I can sell MDMSGates already. I have sent to you PM. @kalina Received gateway and tested it. The gateway is good made and work fine. Thank you! I'm using it as serial gateway for no, but late going to use it as MQTT ethernet gateway with Openhab. @kalina Received gateway and tested it. What is the type of enclosure? some order number? @kalina the box is really beautiful. Perfect for getting a high spouse acceptance factor. Do you print the film yourself? What kind of printer is required? Do you print the film yourself? No, I don't. This sticker is printed by an advertising company. Hello Kalina, I'm new to the whole gateway and sensors world. Can I connect this gateway to a raspberry pi and then use the wifi and 868MHz at the same time? So I can use different types of sensors. Thanks in advance. I've been searching RF gateway with enclosure for Raspberry Pi and your one seems to fit my needs but I'd like to know what kind of library is used for RFM69. Hi @pointbre, welcome to the MySensors community! Hi @mfalkvidd , thanks for your reply. Does that mean that I can plug this MDMSGate into USB port of Raspberry Pi? I would like to use MDMSGate as a RF gateway(based on RFLink firmware, see http://www.nemcon.nl/blog2/), which can commuciate with Node-Red on Raspberry PI via USB serial connection(see https://nodered.org/docs/hardware/arduino). @pointbre no. It does not use the rflink protocol. It uses the MySensors protocol. Hi @pointbre, @mfalkvidd is right, MDMSGate uses firmware based on MySensors library by default, but if you look at MDMSGate as a hardware device - you can develop you own firmware. Оf course, you can connect MDMSGate to Raspberry via USB (linux already has drivers for CP2102 chip) or Ethernet. Ok thanks. It's just that I wonder if it 's possible to have one sensor via wifi and and an other via 868MHz. I'Il wait for your drawing. TThe gateway looks very nice btw. USB, Wi-Fi and Ethernet are using only for connection to controller and you can't use it with different types of sensors. Instead this, you can build gateway which you need, just change jumpers position (and if you want to change radio network you have to change radios). I am drawing two examples of using gateway below. Do you stocks now? I'd like to give a try with your RF gateway. @pointbre Yes, you can buy MDMSGate by this link. But keep in mind, that NRF24 radio soldered in MDMSGate. If you need RFM69 you have to inform about this and pay additional 2.5$ (because RFM69 more expensive). Thanks for the drawing. I understand that the gateway uses or wifi or 868MHz. If I want both I need 2 gateways and connect them to the raspberry controller. Is my assumption correct? I understand that the gateway uses or wifi or 868MHz. You can use Wi-Fi and 868MHz at the same time, but Wi-Fi is intended for connection to controller only!!! 868MHz is intended for connection to different types of sensors or actuators. You can't establish a connection to any types of sensors via Wi-Fi. If I want both I need 2 gateways and connect them to the raspberry controller. Is my assumption correct? HI Kalina, Would you please let me know how I could pay the extra $2.5 for RFM69 module? I'd like to make a purchase today. Is it possible to buy board only without plastic enclosure? Hi @fisher, yes it is possible. The gateway works ok, the box enclosure is tiny and looks really good. I highly reccomend Kalina's goods! @kalina please provide the required documentation for the CERN license. See here if anything is unclear. @Anticimex , I have already uploaded the necessary license files. Unfortunately, for a while the MDMSGate will not be available for the sale (all 15 gateways have been sold). Now I am going to start the next 30 pcs into production. If someone wants to pre-order, please, send a PM to me. @kalina I'm new to "MySensors" and I think this device will suits me very well. My plan is to use MQTT and Wi-Fi mode. Is this possible? To use Wi-Fi / Ethernet, as I understand, IP addresses for Gateway, router and controller must be defined but I have read that you in all modes is using the serial gateway sketch which not have IP adresses defined. I wonder if there is any other gateway sketch that shall be used or how to solve this? My plan is to use MQTT and Wi-Fi mode. Is this possible? Unfortunately, no. This gateway uses a microcontroller PIC18F67J60. Firmware of this uC doesnt support MQTT protocol (in future I probably add this feature). You can only use it as a ethernet gateway. In Wi-Fi mode, the ESP-12 module acts as well as the PIC18F67J60 microcontroller - converts the packets of TCP/IP to UART and vice versa. Connect MDMSGate to the router (network). After this router will define IP address for gateway through DHCP (for example 192.168.1.6). You also can see this adress in router web interface. Open web interface of the controller and fill "IP address" and "Port" for the Ethernet gateway. Click "Connect" button and work! Connecting through Wi-Fi a bit more complicated. If you want I can explain. I have uploaded a small instruction "MDMSGate. Connection to Domoticz". This instruction explains how connect MDMSGate to Domoticz via LAN. @marvin78 Hi, as i understand you got MDMSGate without Wi-Fi (ESP-12), because you didn't specify it in the order. I have written a small manual that describes how to start work in Wi-Fi mode in this case. Please, go to "Design files" menu and download "MDMSGate. Manual for installing Wi-Fi.pdf" file. 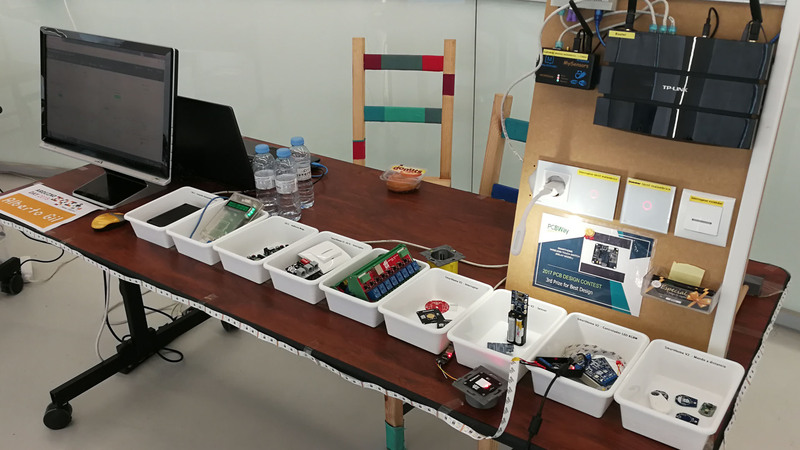 On April 7, I presented my domotics nodes at the Arduino Day in Zaragoza, Spain. Your gateway worked all day like a champion! I have a question, would it be possible to get the Arduino sketch that has recorded the Atmega328P? Is this code? Do you only need that to work for NRF24L01+Ethernet? Your gateway worked all day like a champion! Yes, MDMSGate is programmed by standard serial gateway sketch. Do you only need that to work for NRF24L01+Ethernet? The sketch the same in all modes. I find it surprising that without writing any line of programming code, apart from the constants, the MySensors library takes care of everything, it's great! My intention was to change the channel of the NRF24L01, the transfer speed, and configure the ATSHA204A. I think I read that the MDMSGate does not support MQTT because of hardware stuff, do you plan to release a second version? The truth is that I am not sure that it is essential either, but I ask you out of curiosity. Why is the sketch configured with MY_RF24_PA_LEVEL = RF24_PA_LOW? Would not it be better to use the value RF24_PA_HIGH or RF24_PA_MAX? You can make any changes that the MySensors library allows. do you plan to release a second version? i think about a new version all the time: RS485, Bluetooth, MQTT ... what else?? ?, So, i still don't see "the main feature" of the second version. As soon as i will find it, second version will be released immediately. Why is the sketch configured with MY_RF24_PA_LEVEL = RF24_PA_LOW? Because RF24_PA_LOW configuration completely covers an area on which all my nodes are located. And I see no reason to increase the power. @giltesa many power their devices through USB on their computers for bringing up nodes. Often the radio is powered by the same source, and driving it at max makes the nrf24 unstable if the power supply is not rock solid. Besides, having the default being at the lowest power, you have reasonable power optimization by default for battery powered nodes. If it does not work you can always gradually crank it up. And not the other way around. 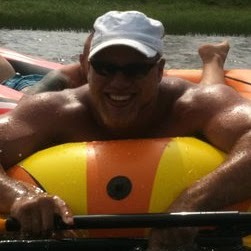 @kalina I'm new to MySensors and exploring if there are gateways that suite my needs. Yours looks particularly interesting. However in this topic I read MQTT is not supported. I assume that this means you cannot run a MQTT broker on the MDMSGate but that it can be an MQTT client correct? Also I do need both RFM69 and NRF2401 radios can both be active at the same time on the device or is it mutually exclusive and does one need a gateway for each radio? Please explain. Many thanx in advance.